The collections of Field Museum of Natural History contain 114 ethnographic objects collected in 1903 by Stephen C. Simms from the Southwestern Chippewa on the Leech Lake reservation in north-central Minnesota. These objects are described and illustrated. Information from previous studies of the Southwestern Chippewa, particularly those dealing with material culture, is included for comparative purposes. 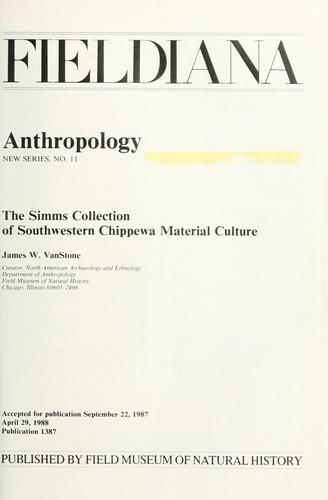 We found some servers for you, where you can download the e-book "The Simms collection of Southwestern Chippewa material culture" by James W. Vanstone TXT for free. The Get Books Club team wishes you a fascinating reading!